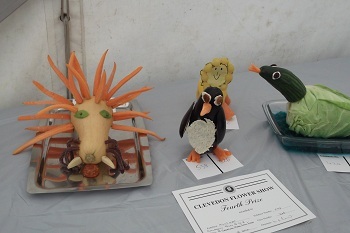 I went to a local flower show over the bank holiday weekend. My church had a stand there and I volunteered to take a turn. 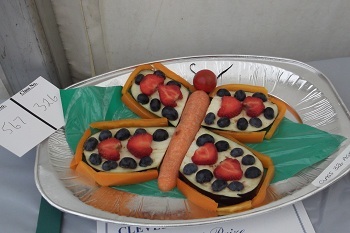 It was the traditional kind of show where people compete to grow the biggest vegetables, display the best flowers and make the tastiest cake. 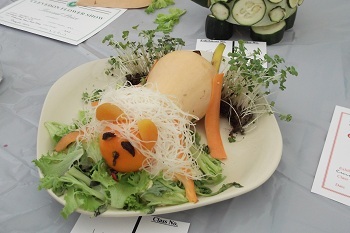 There were also separate show categories for children, one of which was to make an animal out of fruit and vegetables. Lots of them were very good so I took a few snaps to share. 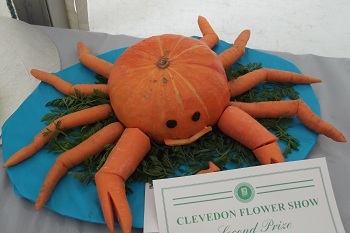 Perhaps this would be a way to get your kids to eat vegetables – after you’ve made an animal you get to eat him! Those are too cute! I love it!